The service you provide for us is impeccable. The fixtures you design are creative, affordable, and have enhanced the productivity in our inspection department. Congratulations from 1366! We continue to be pleased with the quality, delivery, and overall dependability we see from Phillips. Keep up the great work! Steve, I just received the housing you did in 3-D printing. I am speechless, they are so good. I was hoping for prototype quality and this is first class production. 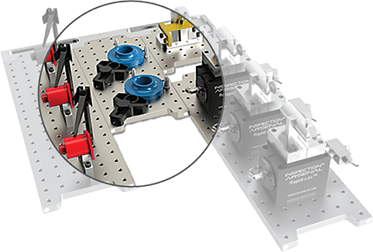 We had a critical job that we needed quickly which we sent to Phillips Precision, Inc. and a popular online prototype company. Prices were similar from both. Not only did Phillips Precision deliver parts within 24 hours, they were easy to work with, the parts were accurate and of high quality. The online prototype shop delivered bad parts in 3 days. The true “cost” to my business and reputation when receiving bad parts, late is immeasurable. 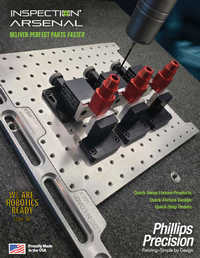 Phillips Precision is now our prototype shop. Thanks for your effort in turning the last bunch of parts around. It was part of a fairly crazy week and it was great to place the order and not have to think about it. Everything flowed together very nicely which was great considering the impossible lead times. I just wanted to drop you an email to say a quick thank you for your hard (and extremely fast) work on those cores I sent your way last week. It really helped to get us out of a bind, and I’m very appreciative, also thank you for offering me a better rate on the second core, that was a big help, too. I plan to continue to utilize your services on future jobs, whenever I am able to.